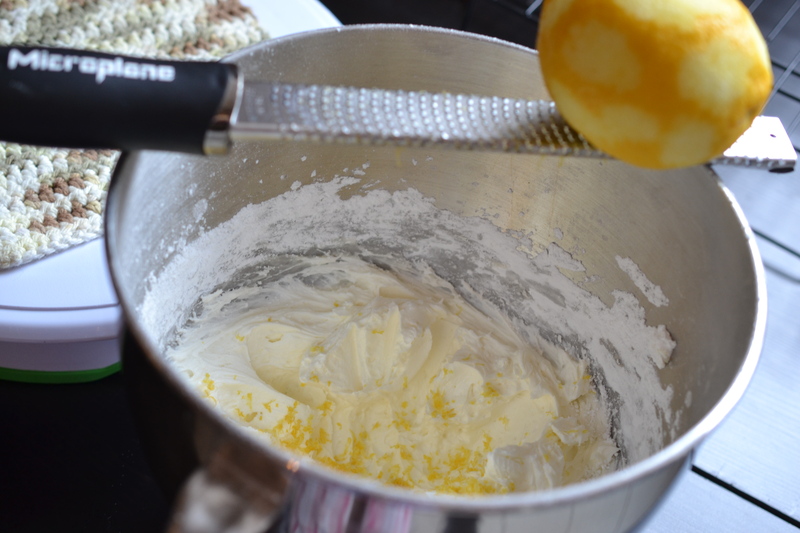 Lemon and Cheesecake! Two of my favorite words…together. This isn’t a combination I’ve put together before and I have no excuses to explain myself. Every single one of these flavors pairs beautifully with the next… strawberries and cheesecake? Yes, please. Blueberries and lemon? Of course. And sometimes a frosty mug filled with Strawberry Lemonade is just the ticket to beat the summer heat. So, here we are. 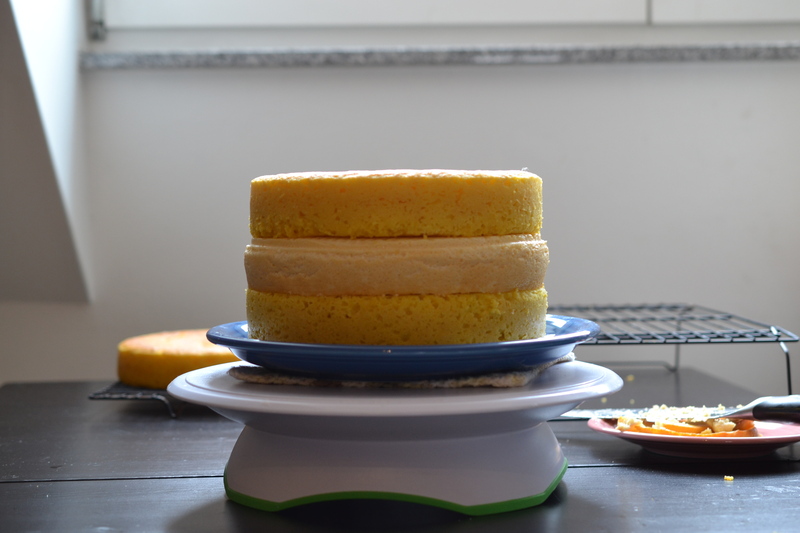 Baking a delicious, multi-textured, multi-tasty cake. Let’s Celebrate Spring! 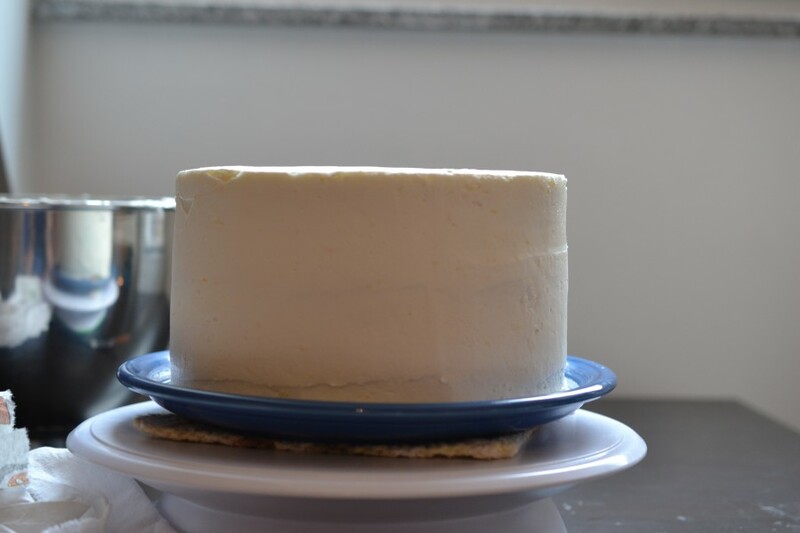 The first step is always the Cream Cheese Cheesecake; I bake this the day before and let it sit in the cake fridge over night. 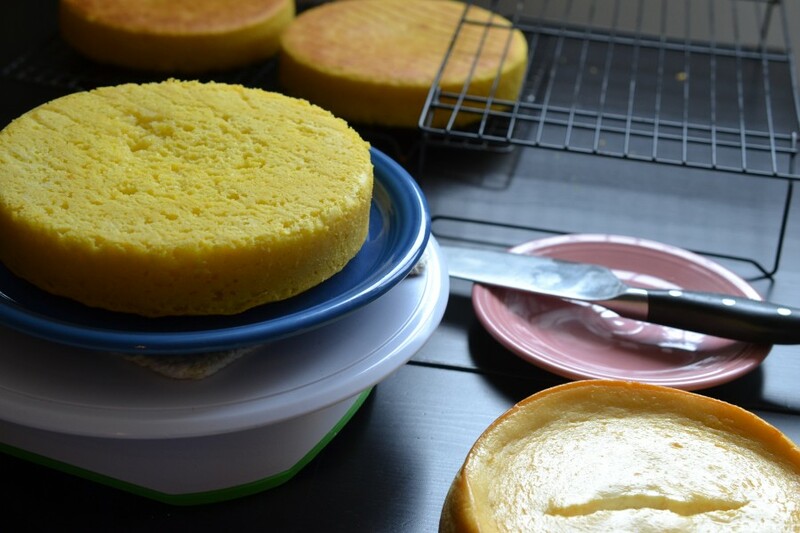 It’s an amazingly simple four-ingredient cheesecake that does not require a crust. 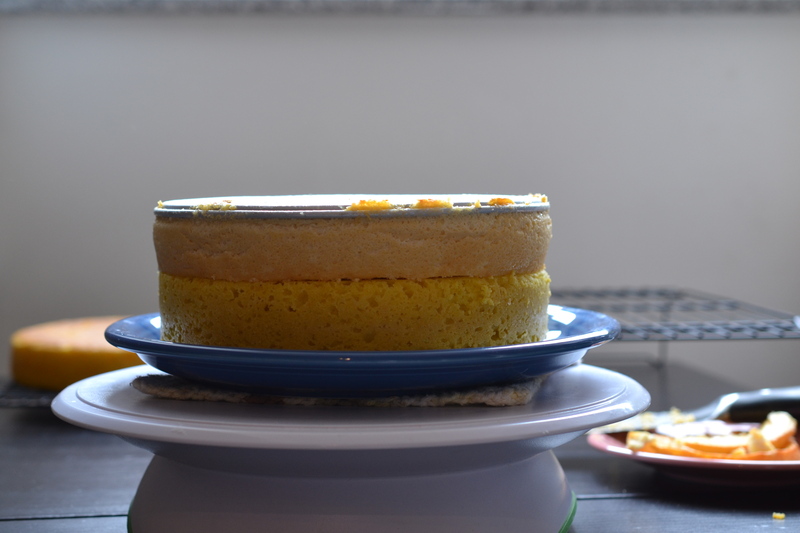 Once the two layers of Lemon Cake are completely cooled, it was time to put this lovely together. 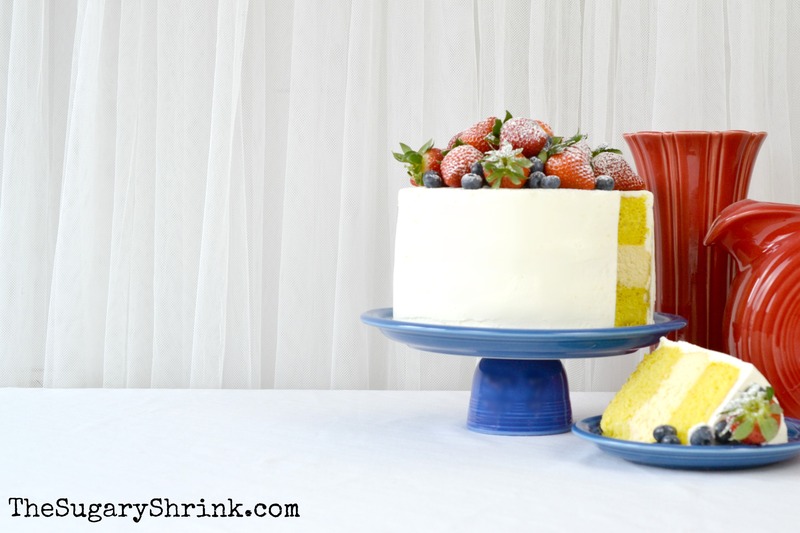 I chose my new Homer Laughlin Fiesta Dinnerware Bistro Dinner Plate to hold the cake. I wanted a darker blue and don’t have a dark blue cake plate and this new plate has a flat bottom which is ideal for showcasing baked goods. 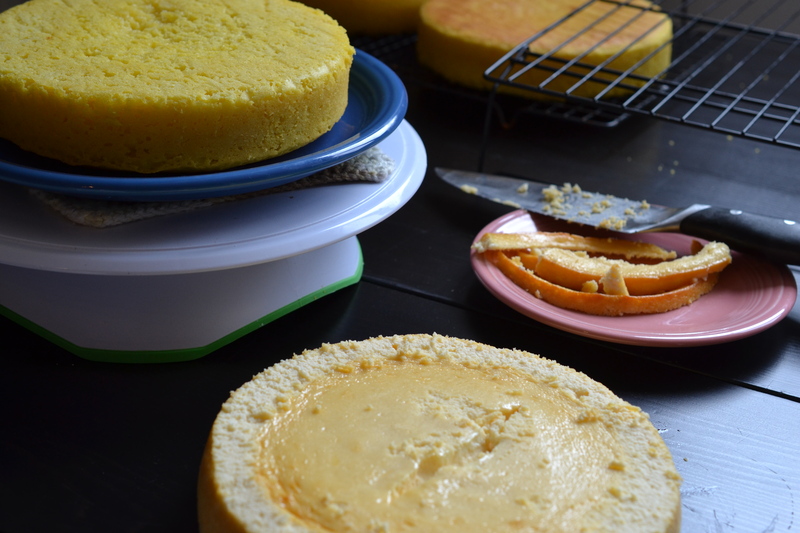 In order for the layers to rest evenly, I trimmed away the top edge of the cheesecake. Because the cake sponge was super fresh and the texture of the cheesecake is so moist, buttercream is not necessary to hold the layers together. Which is fantastic considering some people prefer a cake with less frosting (I’m not one of those people). 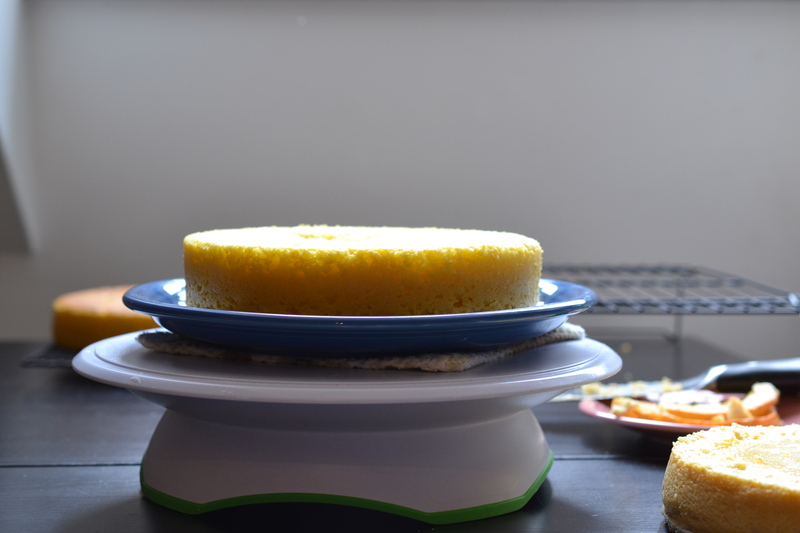 I toyed with the idea of leaving the cake in this natural state and drizzling a lemon glaze… but that seemed under-designed and half-finished. 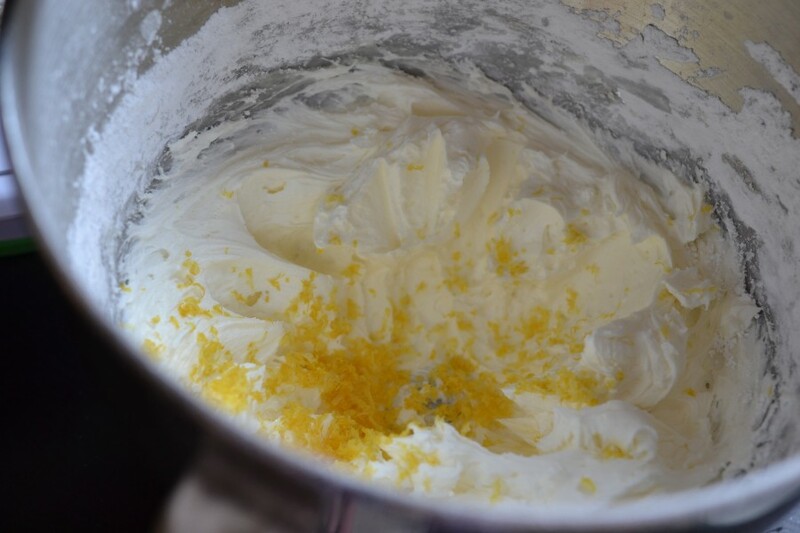 Instead, I decided a thin layer of Lemon Zest Cream Cheese Buttercream would be just the ticket to blend these flavors together. After letting the cake set up in the fridge (and I don’t like keeping a cake with a cheesecake sitting on the work table too long), I garnished with fresh berries and a light sprinkle of powdered sugar. It’s a simple look but I think it’s classy. 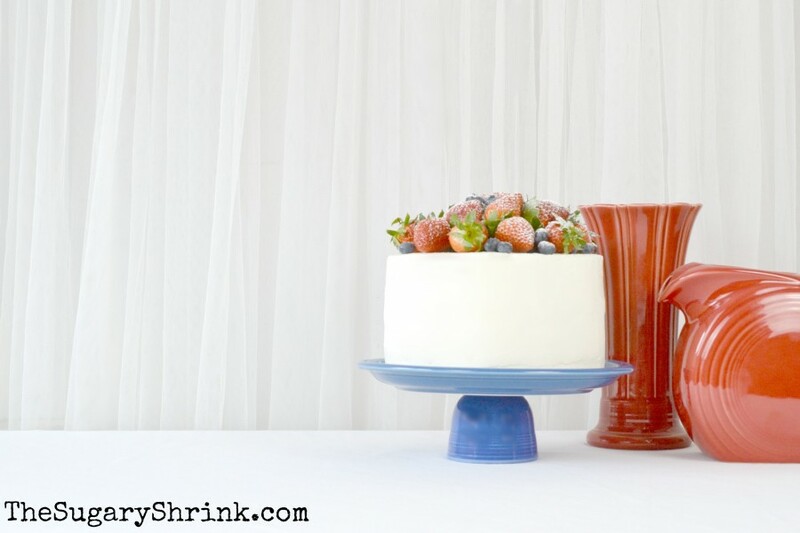 As much as I love a good looking cake, it really is all about the taste, texture, and appeal. 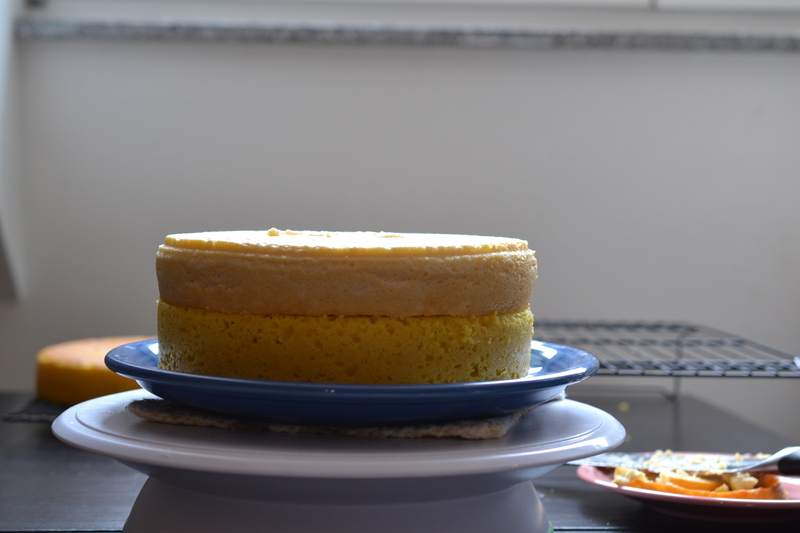 I seriously love the sharpness of the lemon with the creaminess of the cheesecake. This cake was a real boost. My life partner is traveling this week and the house is quiet. I make it a point to talk to people every day and meet with friends… but it isn’t the same. Baking keeps my mind engaged and creating. I’m incredibly grateful for my life partner, our people, and sobriety one day at a time.